MCC emerging artists perform during public gala April 30. Earn an AGEC degree online with no textbook costs. App development, theatre, multimedia, sports and music camps. At Mesa Community College, your success is our number one priority. It is our mission to provide you with outstanding career, transfer, and service programs. MCC has more than 200 degrees and certificates in technical and career tracks. Our focus is on helping you reach your goals. 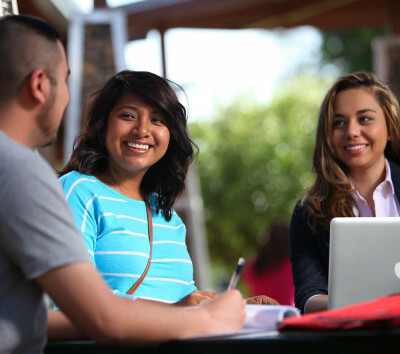 Looking for quick access to student resources here at Mesa Community College? Either click one of the buttons or choose from the listings below. Interested in transferring to a college or university? Click here to find out more about our other programs and degrees. Your future can be anything you want it to be. And by exploring Career Pathways, MCC can help you bring your future into sharper focus today! Ready to take the next step in your education? An associate’s degree from MCC can help you attain a job, promotion, or ensure a smooth transfer of your credits into a degree program at a four-year institution. Our partnerships with over 40 institutions, including the three in-state public colleges, ASU, NAU, and UA, provide pathways that make transferring your associate’s degree easy. 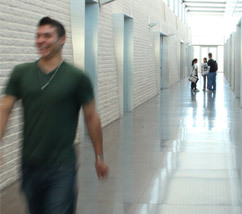 Whether you are entering or leaving MCC, we can help ensure your transfer goes smoothly. Click on one of the buttons below to find out more about the transfer process. Interested in transferring your credits to MCC? These steps will help with the process. Interested in transferring your credits to a university, but not sure where you want to go? With our list of transfer partners the hunt for schools that accept MCC credits is over. Now all you have to do is decide which of the forty schools will fit you best! Online and hybrid classes are designed to fit all of your needs. The flexible nature of online allows for students who work during the day, or have changing schedules, to complete classes on their own time. This flexibility doesn’t make you sacrifice your choice in classes; affordable, high quality classes are available in all subjects. Need a challenge? The challenge of an online class is greater than a traditional class as time management is key to your success. Need extra support? The personal communication of a traditional course is still available in online courses. If you need help you can email your teacher, talk with a tutor online 24/7, meet with a tutor in the LEC, or call the HelpCenter. You don’t have to sacrifice your life to get an education; learn more about online now! Online students have one more tool at their disposal: Canvas. Canvas allows online students access to course content, calendar, grade book, discussion boards, online quizzes and other course materials. Current students can log in below.